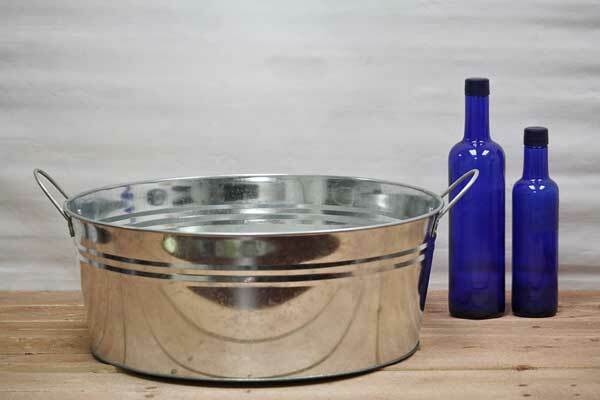 This decorative metal tub is big enough to hold plenty of ice and drinks at your next tailgate or cookout. We also offer colored tubs to add a bit of flair. After your event, this tub can be transformed into a vintage planter by stacking two tubs and punching holes in the first.